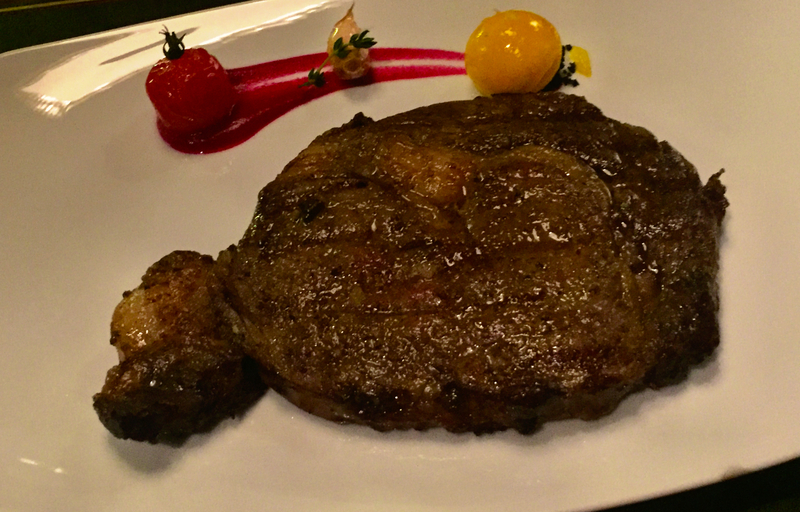 Doha offers a good selection of steakhouses, and ‘Prime’ is definitely one name, which comes up in the top ranked steakhouses. ‘Prime’ is situated in InterContinental Doha- The City hotel, close proximity to Doha City Center. The décor of the restaurant is chic, modern, showcasing a wine wall and live kitchen. Sittig at most of the table guests can watch the chefs working and meals getting prepared. We visited Prime, a few days ago with friends. After the warm welcome we were escorted to the table. Our waiter introduced himself, offered water and presented menus. The wine list was extensive offering terrific selection of new and old world wines. The selection of starters was good, ranging from salads to seafood, the meat selection had steaks from around the globe, including Angus, Waygu, Australia and USA. For starters, we ordered Crab Cakes, for the mains mix of steaks and mashed potato, potato wedges, spinach & asparagus as sides. The bread basket was served with 3 types of butter’s. Each of them was flavorsome. The pre starter Goat Cheese toast and starter were very tasty. The crab cakes were soft and delicious. After the starters, the waiter walked us through the selection of knives and suggested which knife will be best for which steak. This was a good way to educate guests about knives and their use on Steaks. Unfortunately, one out of four steak’s was not prepared as we requested, which was rectified by the chef’s immediately. The steaks were soft, tasty and sauces were full of flavor. We enjoyed the sides also. The condiment included a choice of three types of mustards, horseradish and various other dips. We were full and satisfied, but couldn’t say no to the desserts, kudos to the server the way he explained and painted the picture of the platter. When the dessert platter was served, our jaws dropped, it looked picture perfect and very appetizing. The dessert platter was a meal on its own, and four of us struggled to finish it. Overall, we had a delightful evening, excellent food & wine and great experiences of on of the best steakhouse of Doha. Previous Post After a long wait……Finally got RE!